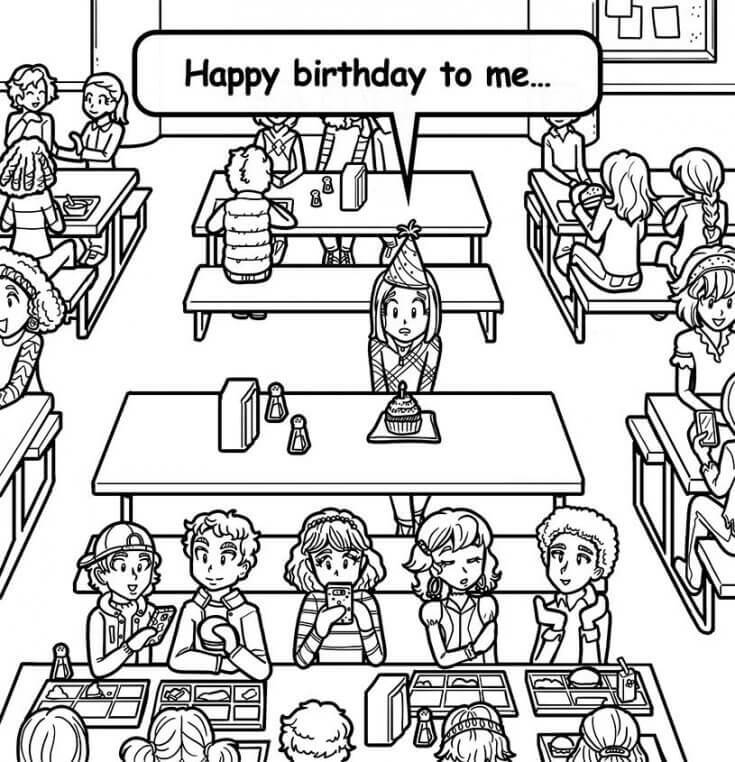 NOBODY EVER REMEMBERS MY BIRTHDAY! I like to remember people’s names and birthdays. But, nobody ever remembers mine. I know everyone in my class, and I always make them cards and mini presents. But on MY birthday, nobody does ANYTHING for me. Don’t they think it’s weird that I’ve NEVER had a birthday in all the years of knowing them? I feel so sad that nobody remembers or cares! What should I do? I can totally see why you feel forgotten, fussy, and frustrated! That is SUCH a bummer. You sound super nice, thoughtful and generous, so it totally must feel AWFUL to always be doing stuff for other people and they never do anything for you in return. Because I hear what you’re saying—a card or present would be NICE. But, what you really want is to feel like people care about you the same way you care about them! In all honesty, I wonder if it’s a little unrealistic to expect EVERYONE to be as on top of things as you are. Like, it’s amazing that you care about your whole class, but some people’s brains just aren’t as organized to keep track of a whole ton of names and birthdays. That might explain why your ENTIRE class doesn’t know your birthday. But if your close friends don’t know those things, well, then that’s TOTALLY different! I also wonder if maybe people do appreciate you, but you might miss it because you’re expecting them to appreciate you the same way you appreciate them. My mom talks about “love languages” which sounds all mushy, but it doesn’t have to be a romantic thing. It basically comes from this old book that talks about how there are five different ways people show how they care, and it helps to understand all the different ways, because others might express caring differently from how you do. So like, for example, my mom is all about quality time—that is, spending time with the people she loves—and that’s one of the love languages. She’s ALWAYS insisting that we do “family sharing time” because she loves spending time with dad, Brianna and me. If you’ve read my diaries, you probably know that it gets a little overwhelming. But then I just remind myself that Mom expresses caring through quality time, and that helps me deal with it better! And, since quality time ISN’T my love language, Mom doesn’t understand why I try to weasel out of it sometimes (mainly because Brianna gets on my LAST nerve, but still. It’s always worth suffering through to make my mom happy! 🙂 ). Another example would be my Grandma Maxwell. She’s a HUGE gift giver—and that’s also one of the love languages. She’s ALWAYS sending us random stuff she found at thrift stores and yard sales. We NEVER need any of it. It usually doesn’t fit or match, and sometimes my mom gets annoyed at having more STUFF in the house. But, then she reminds herself that Grandma Maxwell expresses love with gifts, and that helps. And of course, I’ll never forget the time she gave me that fabulous formal dress for the Valentine’s Dance! Squeee!! Words Of Encouragement—Complimenting people and saying nice stuff about them. Being Helpful—Doing favors and nice things for others without being asked. Quality Time—Spending time with people you care about (like my mom). Physical Touch—Giving hugs, high fives, or pats on the back. Giving Gifts—Giving people thoughtful gifts or small items (like my grandma). So, is it possible that some people in your class care about you just as much as you care about them, but they express it differently? And, because it’s different from how you express it, do you feel upset? Something to think about! I hope this helps. I also hope that SOMEBODY remembers your birthday next time because that’s a really important day for you! Also, which of the five love languages above do you use to show others that you care? OMG your class is SOOOO mean but I can TOTALLY understand. In school nobody EVER pays attention 2 u and that’s the day your teacher scolds u the most….. HAPPY BIRTHDAY!!! I hope you had fun! Nikki I wish you a very happy birthday and how old are you now?